LCD TV’s (Liquid Crystal Display) are one of the most popular types of flat panel TV’s out there. People love them because of their thin profile, sharp picture and low glare. LCD HDTV’s can range anywhere from a few hundred dollars to thousands based on quality and size so it’s important to do your research and read the latest LCD TV reviews before making your big purchase. 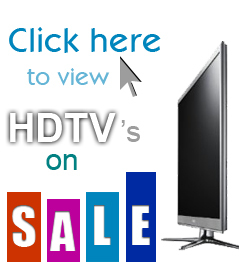 Searching for a specific LCD TV review? Many people are curious what the main differences are between LCD and other types of TV’s like plasma, LED & projection. While there are a lot of similarities, there are many important differences that you should understand before purchasing an HDTV. How do LCD HDTV’s differ from other options? The main difference between LCD TV’s and other types of HDTV’s is how they light up. Traditional LCD TV’s use cold cathode fluorescent lights (CCFLs) to light up the screen. The phosphors in Plasma TV’s light themselves up which means they don’t require any form of back lighting. LED TV’s are actually a form of LCD TV’s (you may seem them referred to as LED backlit LCD TV’s). LED/LCD TV’s are lit with LED instead of CCFL which tends to create a better picture and allows manufacturers to create much thinner TV’s. Who should buy an LCD TV? LCD TV’s are great for many types of people. Due to their generally less expensive price tags, anyone who is looking for a bargain should probably start with LCD TV’s. People who aren’t adamant about picture quality and may not watch a lot of TV or is using it as a secondary TV in a kids room, office, etc. will be perfectly happy with LCD TV quality. If you’re concerned with power consumption, LCD is definitely a better option than plasma. The average TV watcher will definitely be impressed by a good LCD TV. My Vizio – VS3703 was purchased 3 yrs. & 2 months ago. We have always had a problem with the Component 1 connetions. It has now finally died altogether & will cost more money to repair than to purchase another new TV. I do not recommend Vizio.